Shirt available in a "Men's" style, "Women's" style, and youth sizes. Suggested donation $10 per shirt. We are also asking people to consider sponsoring a patron(s) shirt. We will be giving out shirts during Laundry Love sessions to patrons. 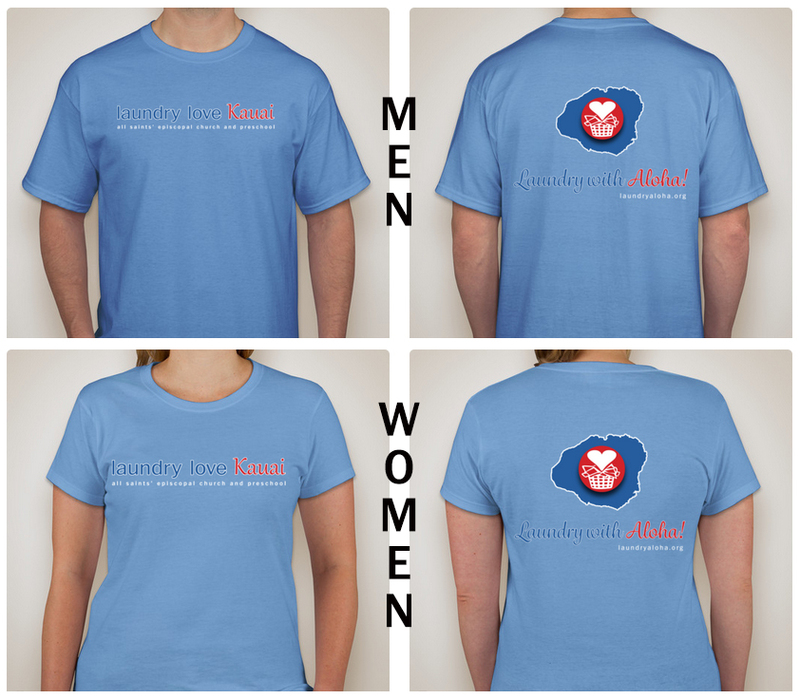 ​If you are interested please indicate the # of shirts you would like to sponsor. Other donations such as quarters and soaps, etc. are greatly appreciated. You may make a donation to All Saints with memo to "Laundry Love Donation."